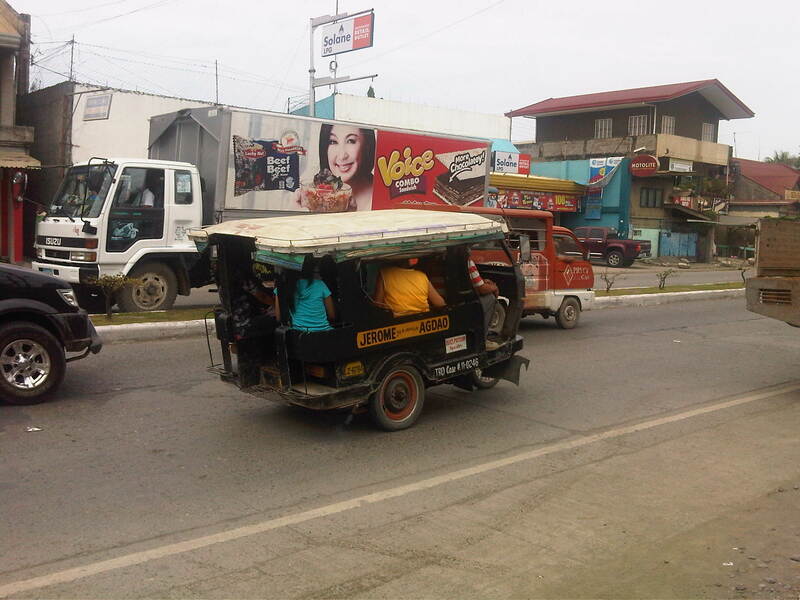 While visiting a jeepney assembler in Davao, we took the opportunity to take not a few photos of paratransit vehicles along one road in Davao City. 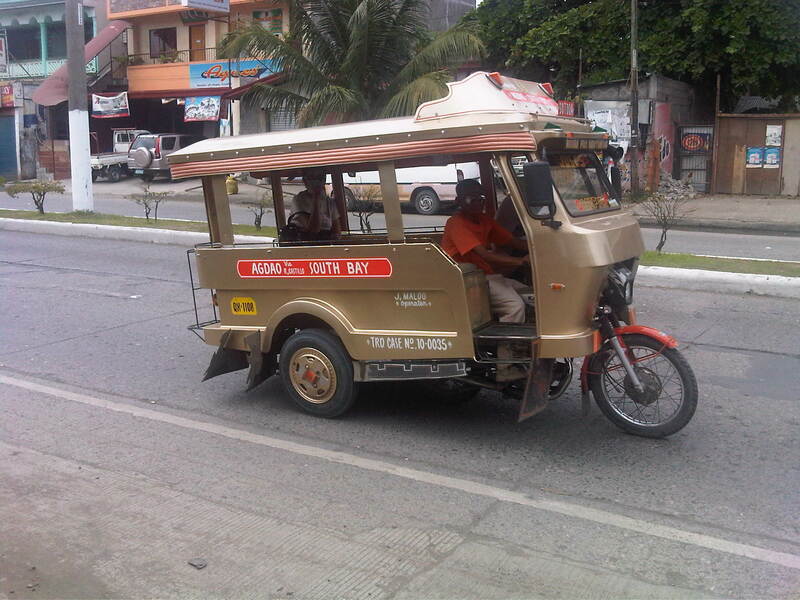 Of particular interest to us were what appeared to be three-wheelers that resembled the tuktuks of Thailand and the four-wheeled multicabs that served as an intermediate mode with passenger capacities between that of the tricycle and the typical jeepney. What at first seemed to be three-wheelers were actually four-wheeled vehicles. For propulsion, they used typical motorcycles but instead of one-wheeled sidecars like the typical tricycles found in many cities and towns across the country, the fabricated body has 2 wheels and provided for two benches to accommodate more passengers. 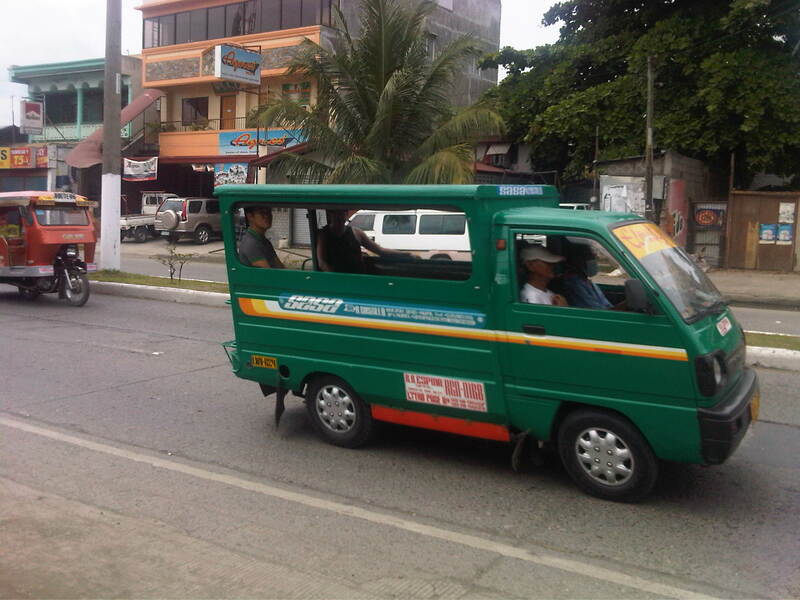 Following are photos of these 4-wheeled paratransit vehicles we took while visiting a jeepney assembly in Davao. While there is a basic form for each vehicle, there are actually some distinct features for each, probably the manufacturer’s or assembler’s signature. There is no distinct color for any particular route so commuters would have to check the panel information before flagging one to make sure whether the PUV serves their destination although these seem to have fixed routes. 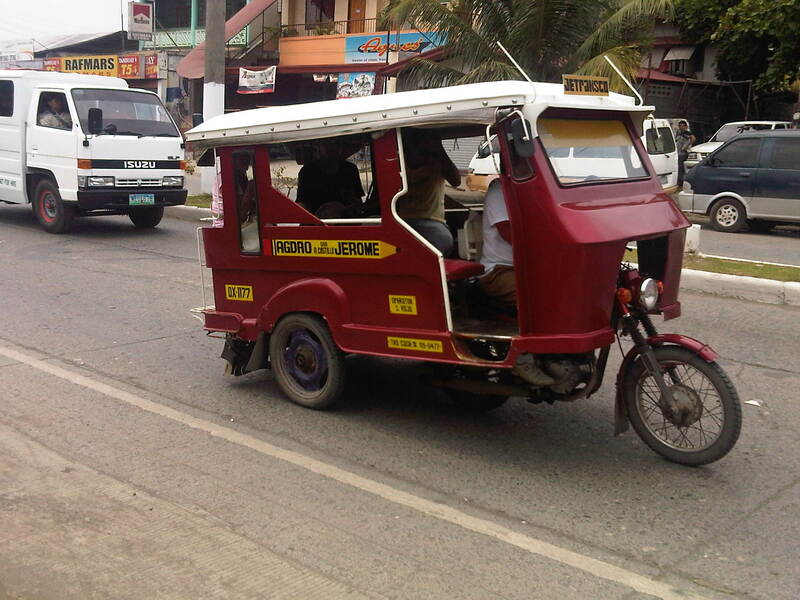 We were also able to observe another form of jitney, which are generally called multicabs in the Philippines. 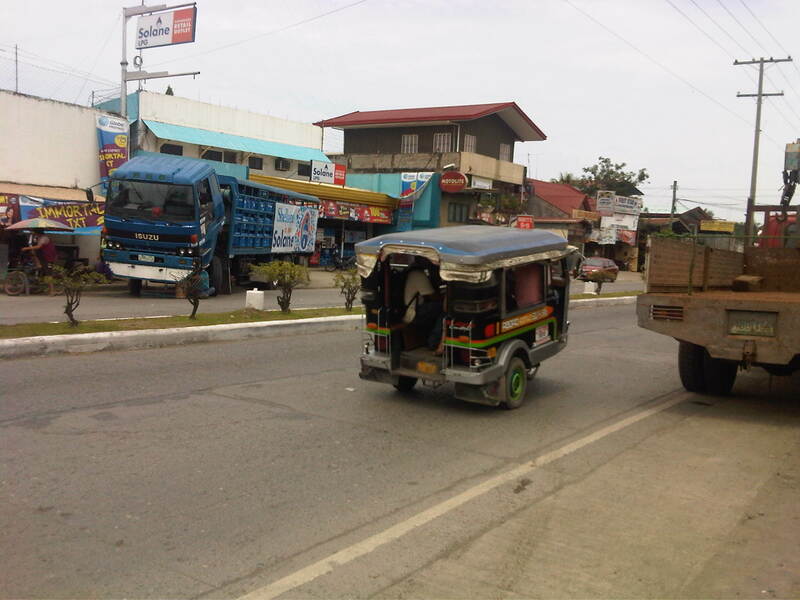 The term multicab seem to have originated from a brand for these 3-cylinder engine vehicles that are fitted to carry passengers or in some cases as small freight vehicles. 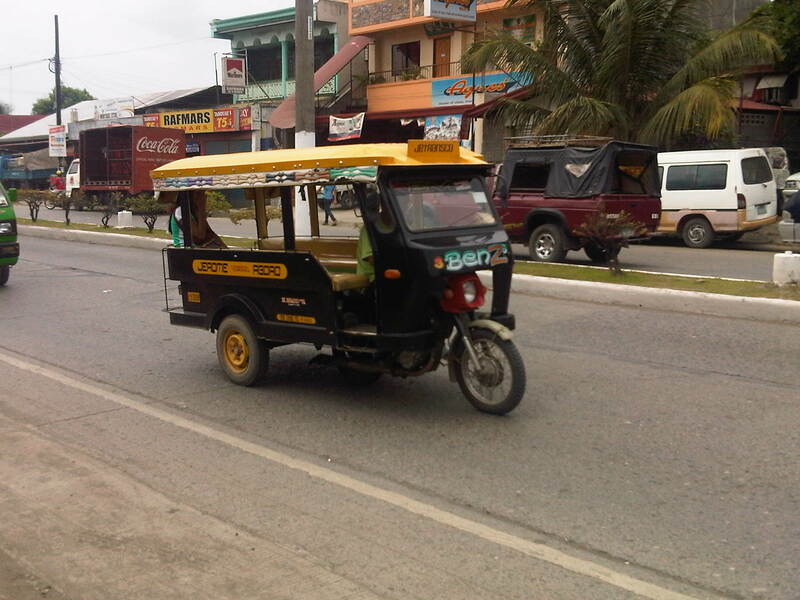 These are very popular in the Visayas and Mindanao where they typically seat 10 – 14 passengers excluding those in the front seat. 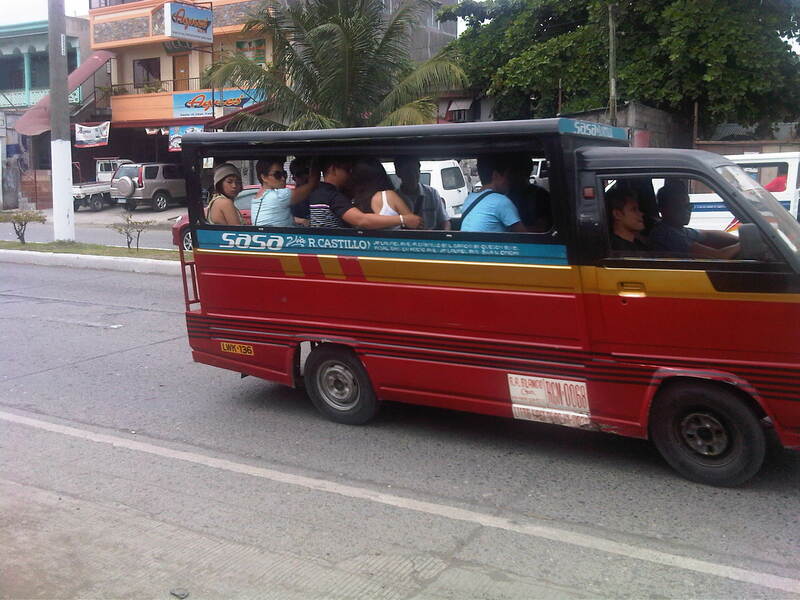 The vehicle is narrower than the typical jeepney so only two people can usually fit in the front. 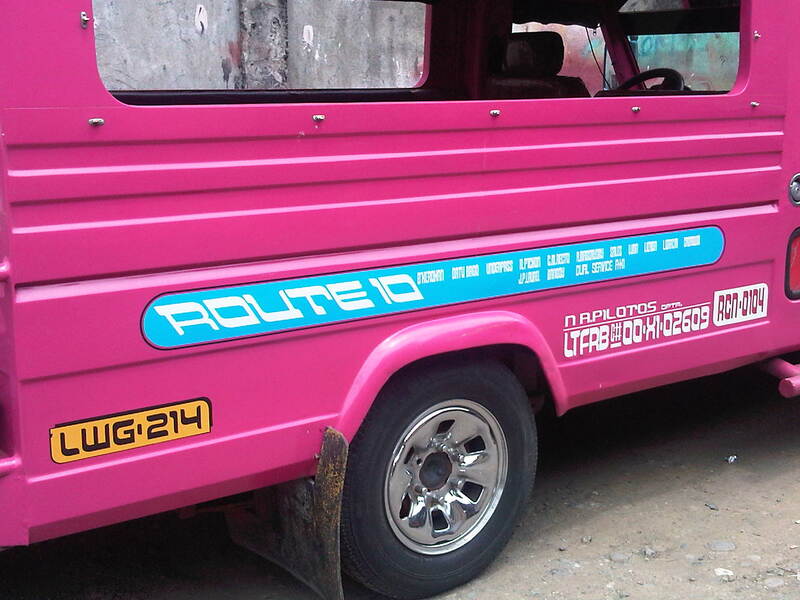 By d0ctrine in Jeepney, Paratransit, Public Transport on July 30, 2012 .